The motion sensor measures vibrations that can be used for tracking and monitoring when and where an asset or equipment are moving in real-time. It provides a breadcrumbs trail of the route movement of the asset. The tracking device triggers a report and can send you an alarm when movement is detected. The motion sensor is beneficial for protecting your asset and equipment against theft. Geo site is a software feature that enables you to set up a virtual boundary around a geographic location. The server notifies you when your equipment is moving inside or outside a customized geographic location. The geo site can be used in many different contexts. You can basically define the area around a construction site. 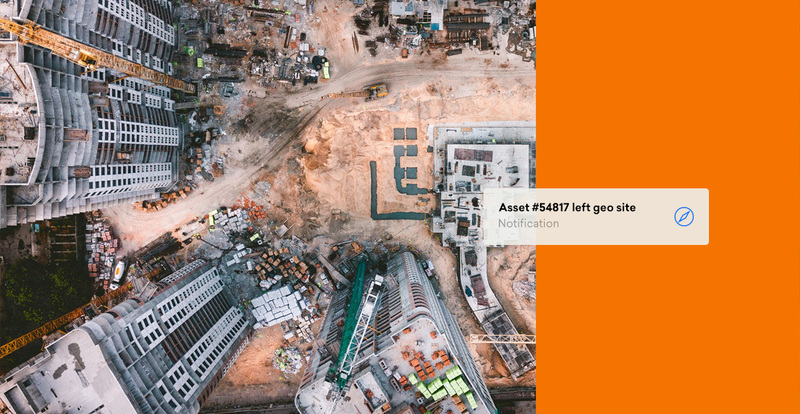 The tracking device will trigger an alarm when assets or material leave the construction site without permission.